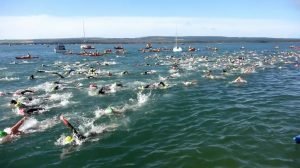 A chance to help provide Safety Cover for the unique open water swim that is Brownsea Island Swim. To provide the level of Safety Cover that this event is renowned for, we need a minimum of 10 Safety Boats, 3 Large Day Boats and at least 50 paddle craft. To ensure that our insurance cover is maintained, we require that each person volunteering to assist us with the safety cover, meets our minimum requirements as shown below or holds a higher relevant qualification. Privacy: Only your 1st name & 1st letter of your last name will be appear on this website! a minimum of 50 paddlers are required. Capable of providing cover for the entire event i.e. to and from the Island and your point of Entry /Exit from the water, plus the approx 6.5Km around Brownsea Island. Comfortable with approaching a swimmer bow on, and allowing them to grab hold of the bow of your kayak / board for support should they require it? Maintain a visual with the swimmer's face (eye contact) at all times whilst they are holding onto the bow of your paddle craft. Be capable of self rescue back into / onto your paddle craft, so as to be able to continue with the safety cover. (i.e. assisted by fellow paddlers to get back into / onto your boat should you make a wet exit). By Signing up in the volunteers signup slots below, you confirm that you will happily form part of the Safety Paddle Craft Team and as such carry out any tasks /instructions provided by the safety briefings and by the Paddle Craft Coordinator on the day of the swim. Personally escorting known swimmers is not allowed and if it occurs then the swimmer in question risks being disqualified – they are aware of this. We have to have this rule to ensure that all our safety paddlers are focussed on all the swimmers and not just one, thus causing a weak link in our overall Safety Cover. a minimum of 10 safety boats are required. Safety Boat Crew must be competent and have had previous experience as safety boat crew at an open water event. Both Helm and Crew must be capable of self rescue back into the Safety Boat should it be required, so as to be able to continue with the safety cover. Note: minimum of 2 First Aid Leaders and 1 First Aid Support Crew. First Aid Team Leaders must hold a current First Aid at Work, Equivalent Award, or Higher Qualification. First Aid Support Crew must have held a First Aid at Work, Equivalent Award, or Higher Qualification and have had experience at similar events. All Members of the First Aid Team must be 17 years of age or older. Blankets and Cold Cas Packs will be supplied by RLSS PLG and will be in the First Aid Tent on Brownsea Island. These documents will be sent to you nearer the day of the swim. Thank you for offering to support us with the Safety Cover for this event, it really is appreciated. Click on any available, appropriate, spot below fill in the details and please remember to list your relevant Qualification / Competency / Experience. 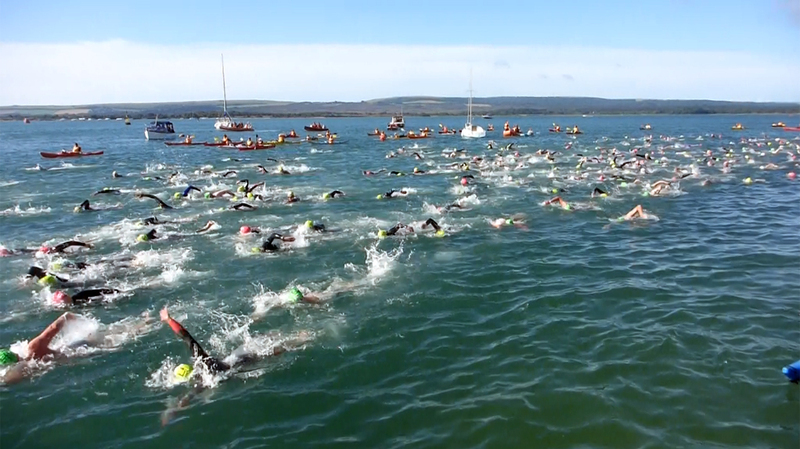 #7: Mike Jewson PHCC, I have escorted swim legend Kate Steels around Brownsea in the past. RYA Day Skipper, Safety Boat, BLS first aid through HantSAR, I am an experienced open water swimmer, and admin to Hampshire Open Water Swimmers. I will personally know many of the swimmers. #9: Peter Cole Portsmouth Canoe Club, BRitish Canoe (BC) L2 Coach, 3 star Sea and Canoe, VHF, First Aid L3, RYA PB L2. Conducting Sea Kayak Leader training 25/26 March with the aim of being qualified by June 19. BC Foundation Safety Rescue Training Provider. #11: Joanne Kitchener 3 Star sea, WW Canoe, VHF, First Aid, Level 1 Coach. Poole Legacy 06:00 17:00 #1: Simon Moore RYA level 2 /safety boat / VHF / RYA Powerboat instuctor.